These settings allow MIDAS to offer alternative venues/times if the desired venue/times are unavailable. MIDAS allows you to control which venues each of your "Resources" are available to. As a result, when offering an alternative venue, any resources you may have assigned to the booking may not be available in a different venue. The "Ignore resource venue restrictions when offering alternate venues" option lifts this restriction, meaning that if you have a resource, for example "Digital Projector" that's only been made available to "Room 1", and an alternative venue to "Room 1" is "Room 2", the Digital Projector will also be available to Room 2 in such circumstances. Offer an earlier time/day in the desired venue - When selected and the desired times are unavailable, MIDAS will try to offer an earlier time slot or the previous day in the same venue. Example: Room 1 is unavailable between 2pm-3pm, MIDAS will try to offer Room 1 between 1pm-2pm as an alternative. Example: Room 1 is unavailable between 2pm-3pm on Tuesday, MIDAS will try to offer Room 1 between 2pm-3pm on Monday as an alternative. 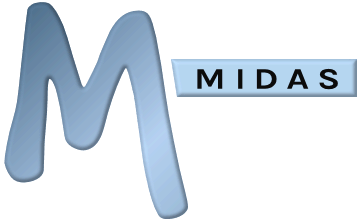 Offer a later time/day in the desired venue - When selected and the desired times are unavailable, MIDAS will try to offer a later time slot or the next day in the same venue. Example: Room 1 is unavailable between 2pm-3pm, MIDAS will try to offer Room 1 between 3pm-4pm as an alternative. Example: Room 1 is unavailable between 2pm-3pm on Tuesday, MIDAS will try to offer Room 1 between 2pm-3pm on Wednesday as an alternative. Example: Room 1 is unavailable between 2pm-3pm, MIDAS will try to offer Room 1 between 12:45pm-1:45pm as an earlier alternative. Example: Room 1 is unavailable between 2pm-3pm, MIDAS will try to offer Room 1 between 2:15pm-3:15pm as a later alternative. By default, when making bookings or booking requests, MIDAS doesn't take into account any outstanding Pending Booking Requests when checking Booking Availability. For example, if a booking request is currently "pending" for Room 1 on Monday from 9am-10am, whilst it remains "pending", other actual bookings or booking requests can still be made for this same venue/time slot. To prevent any other bookings or requests from being made in slots where "pending" booking requests are still awaiting approval, select this option. MIDAS will then show "Unavailable" for subsequent bookings or booking requests that would conflict with outstanding booking requests. The Booking Spacing settings enforce a "gap" (free space) in minutes before and/or after bookings. For example, this allows you to ensure there's adequate setup/clean up time between adjacent bookings, so that two consecutive bookings in the same venue don't take place back to back with no break in between. If selected, Tentative Bookings will be enabled, and rules for expiring tentative bookings will be automatically enabled. If unselected, tentative bookings will be disabled and any further auto-expiration of any tentative bookings will be halted. Sets the default state (on by default / off by default / always on) of the "Send Booking Confirmation" selector which is presented to users on the Booking Availability screen. The "Send Booking Confirmation" selector itself allows an automated confirmation email to be sent to a client when bookings are added/modified for them.